My son Steven, after a relatively short period of illness went home to be with the Lord on April 20th 2006. We praise the Lord that he became a Christian just 18 months before being taken to glory, our prayers have been answered. As Christians we know that without a doubt, the most important decision/choice we make in our lifetime is that of committing our life to the Lord Jesus. I hope that the story below which I have simply titled ‘A tribute to my son’ will encourage other parents/grandparents to pray for their children and grandchildren, after all, if we don’t pray for them, who will? Steven was my first born son, the second of my three children, eighteen months younger than my daughter, Tracey and four years older than Darren. As a child, we would always call him Steven who, although a shy and sensitive little boy, always had an amazing capacity for humour, to see the funny side of life. I have vivid recollections of Steven watching “It’s a knock out”, his mouth slightly open and his beautiful dark eyes dancing with merriment as he laughed at the antics of the various teams. Steven had not known his real father since the age of four when I had left him because of his violence, taking my three children with me. It was not until years later that I became aware of how much Steven had missed a father figure in his life. When Steven was fourteen years old I was involved in a car crash which left me totally blind and Steven asked my ophthalmologist if he could donate one of his own eyes so that I would be able to see again and he was very disappointed when he was told that this was not possible. Being my eldest son, Steven felt responsible for me, his sister and his brother but of course was far too young to shoulder the responsibility that a husband and father would have difficulty in coping with. My accident had caused tremendous trauma not only to me but also to my three children. I had not been rehabilitated and was left to vegetate in a zombie like state on tranquilisers and sleeping pills prescribed by my GP and was unable to be of any real help to them until I was finally withdrawn from this increasing medication eight and a half year later.Unbeknown to me Steven began drinking soon after this and experimenting with drugs with his school friends. Steven continued drinking throughout his brief marriage and he also used cannabis on a daily basis and those years were, for him the unhappiest of all. I would try to persuade him to quit drinking but he was in denial and I knew from everything I had learned about alcoholism that until he admitted he had a problem, there could be no help for him. I had been talking to Steven about Jesus for many years and we often had interesting debates but when his drinking forced him to become virtually housebound, he often told me that he was unhappy and wished he could reinvent himself. Of course this was a wonderful opportunity to tell Steven that he didn’t have to ‘reinvent himself’ that if he gave his life to the Lord he would become a new creation in Christ. I would hear accounts from well meaning friends of seeing Steve staggering along the road, unshaven and unkempt with a can of beer held to his mouth and my heart would break. 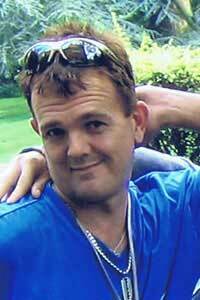 I felt sure that one day I would receive a phone call or there would be a knock at the door from the police informing me that Steven had been found dead. My husband and I began verdantly praying to the Lord that He would not allow Steven to die unsaved and some years later we were to discover that this prayer had been pivotal that the Lord had orcrastrated Steven’s life so that this prayer became answered. During these years Steven and I would talk on the phone at least once a day. When he was too drunk to make any sense I would quietly tell him that it might be better if we spoke the following day. He often told me how unhappy he was and once told me he wanted to die. His sadness became my sadness and I am sure that most parents will understand how desperate I felt. I had been praying for years but was beginning to despair wondering if the Lord was hearing my prayers. Until one day in the privacy of my room and upon my knees, I beseeched the Lord to intervene in Steven’s life, that He would do whatever it took, just as long as he voluntarily came out of denial and went into to rehab adding that a Christian rehab would be preferable! It was only a very short time after this prayer that Steven told me he had begun to feel ill and acknowledged that this must be caused by his drinking. He complained of sweats, stomach ache, nausea and vomiting and I gave praise and thanks to the Lord as this condition worsened and Steven said that he wanted to be de-toxed and go into rehab. 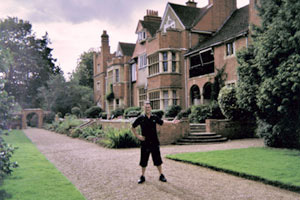 After this everything just fell into place, a Christian friend at UCB, Eva sent me details of Yeldall Manor Christian rehab centre in Reading, following his de-tox, Steven was accepted by Yeldall as a resident and completed the eleven month programme. He became a Christian during this time and was baptised in the Holy Spirit at Saint Saviours and I just overflowed with joy. Yeldall Manor taught Steven so much, not only how to restructure his life and be treated with respect once again as a human being but also reintroduced to him Christian morals and values that he had known as a child. Steven always had a deep affection for Yeldall, knowing that it was there that his life had begun to turn around. He was delighted when he was chosen to play for Yeldall in the five a side football team, so pleased that he had the stamina at his age of 42 to play in all seven of the games. His team won and Steven was victorious as he posed for photos of him holding the trophy. As he was nearing the end of the programme, we began praying that the Lord would guide Steven to a job where his faith would grow and in which God would be glorified. In the week he completed the programme at Yeldall, Steven was offered two jobs one as a courier and the other as caretaker at St Mary’s church. I remember the evening Steven phoned me and told me that he had the choice of two jobs and that although he was tempted to take the courier job because it paid a lot more money, he had decided to accept the job as caretaker at St Mary’s because it felt right and because he knew it was what the Lord wanted him to do. He would phone me every evening and tell me about his work as caretaker, how much he loved the work and especially, how much he loved the people he met every day at the church who he soon began to refer to affectionately as “My brothers and sisters in Christ”. Steven was always amazed at how readily he was accepted at St Mary’s by his brothers and sisters, that despite knowing of his background of alcoholism and drugs, no one was ever judgmental towards him. He told me that he previously believed that Christians were falsely pious and full of pride but that St Mary’s had shown him that this was just not true and that it was an honour for him to now bare the name of Christ. He had a deep respect and love for Will Stileman, his spiritual leader and his boss and felt privileged when attending prayer meetings with Will and other members of staff. I told Steven that the Lord had a plan for him and we were excited as we waited for His plan to unfold. When Tracey and I visited Steven for the first time in his new job, Steven enjoyed giving us a guided tour of St Mary’s, describing for my benefit the beautiful stained glass windows in the chapel and many other features on the site. Steven hadn’t been at St Mary’s very long when he began to develop a cough and soon after this his voice began to lose its former strength. He was given antibiotics by his GP but the symptoms didn’t diminish and then after a second prescription of antibiotics with no change, I begged him to return to ask for a chest X-ray. On December 13th, we were with Steven at the King Edward hospital in Windsor when he was diagnosed with lung cancer of the most aggressive type that it had spread to his lymph nodes and to our shock was given a prognosis of just two months to live without chemo but with chemo, maybe a little longer. Steven, although he must have felt that his world had collapsed, took it like a man and when asked by his consultant if he had any questions, replied in his usual style “Will I still be around for the world cup in June?” Tracey and I were with Steve at the time, desperately trying not to cry in his presence because we instinctively knew that he wouldn’t want us to do this so we waited until we went to the ladies before hugging each other and breaking down. My heart was breaking in a way that only a mother could understand. I wanted to protect my son but knew I was powerless to do anything to change the diagnosis, I knew that we had to trust God. Throughout his illness, we never once heard Steve complain at having cancer, he showed no self pity or resentment and his faith actually grew stronger as each day passed. A few months after his dreadful diagnosis and awful prognosis, Steven started complaining of severe headaches, his GP prescribed steroids and arranged for him to have a brain scan. The steroids worked quickly and the headaches disappeared completely. A few days later Steven phoned me to tell me the results of the brain scan that his GP had confirmed that the cancer had gone to his brain. His faith and courage overwhelmed me so much that I had to pass the phone to my husband and make an excuse about the bathroom because tears were running down my cheeks and I didn’t want Steven to know how desperate I felt. When I returned to him on the phone, I felt a need to switch on my Dictaphone and to record Steven because some how I knew that one day this recording would bring me enormous comfort. During this conversation Steven thanked God on at least three occasions for steering him away from the courier job, for directing him to take the job as caretaker in the church and also for the wonderful support he received from a group of the congregation at St. Mary’s who arranged a voluntary team by rota for Steven’s shopping, hospital appointments, laundry, the cleaning of his flat and many of them brought in cooked meals for Steven. I am eternally grateful to these volunteers who, knowing that my husband and I are blind and couldn’t do these things for Steven, did so much for my precious son and displayed the love of Christ to him. Shortly after it had been confirmed that the cancer had gone to Steven's brain, I was emotionally and spiritually exhausted and on the verge of despairing and this started to reflect in my conversations with Steven. I found it difficult to encourage him with the promises given to him by the Lord; in fact I found it difficult to say anything at all. I knew that if Steven recognised my despair, it could so easily be transferred to him and this was something that I couldn’t allow to happen. That evening I prayed that the Lord would renew and restore my faith so this could be imparted to Steven and later that night I had a dream which I knew was from the Lord and a direct answer to my prayer. The dream was very vivid and yet simple; in the dream I was standing in an open barn, that is to say the barn had no roof and many birds of various species flew in and rested there. I was stroking the birds and nurturing them. The interpretation of the dream was that he barn with no roof on represented my open heart and that I was allowing the birds of the air, which are always biblically depicted as symbolising evil to come in to the barn, my open heart where I would stroke and nurture them. I knew that the evil depicted the symbolism of the birds of the air and this represented the doubts I was allowing to creep in to my heart, doubts that I was nurturing. This dream had a momentous effect on me. My faith returned, restored and whole and from that moment on I was able, no matter what the future held to impart that faith to Steven, praise the Lord. We are more than conqueror’s through Him who loved us. Romans 8 v 37. Steven was able to demonstrate that in Christ, we can be more than conquerors. We know that this was the Lord’s response to the many prayers that were being prayed for Steve. He was being spiritually healed by the Holy Spirit and we give our thanks to the lord and the many people who prayed for Steven during this very difficult time for him, a period of drastic adjustment. His indomitable sense of humour was never far away despite having very little to laugh about in the last four months of his life and I have been told that he often still had the same twinkle in his eyes that I have always remembered. He never questioned what Gods plans for him were and we his family think he knew something that we didn’t yet know. His dearest wish was that Tracey and Darren would commit their lives to the Lord and this is what seems to have been part of Gods plans in all of this. Steven’s faith was unquestioning, almost childlike in its simplicity, in fact just as the Lord commanded our faith should be. Although never an inveterate gambler, Steven still enjoyed a flutter on the horses and was not bogged down by stumbling blocks of legalism as many of us can be but was always secure in the knowledge that he was justified by faith in the completed work on the cross of our Lord Jesus Christ and his simple faith has always brought me an enormous amount of comfort. We were at Steven’s bedside on that last morning and Tania and Jill two of his volunteers from St Mary’s were also there, I asked Tania to read a loud a wonderful passage from 1 Corinthians 15, less than an hour later Will read a loud exactly the same passage. Tracey who was with me at Steven’s bedside when he died told me that for just a few seconds Steven’s face screwed up, as if in pain before he slipped from death into life, perhaps this was his heart giving out, we will never know but as he then passed into the presence of our Lord, his face became transformed, every line, every wrinkle was magically wiped away and just a hint of a smile was present on the corner of his mouth, if his eyes had been open, I am in no doubt that there would have been a twinkle in them. Just seconds before his passing, his best friend Mo had arrived and this like everything else happened in God’s perfect timing. Steve had died in the loving embrace of his closet friend, what a way to go! I am comforted by the scripture in 2 Samuels 12 which speaks of Kings David’s feelings when his baby son died. But now he is dead; why should I fast? Can I bring him back again? I shall go to him, but he shall not return to me. Steven, a precious, precious son and brother will always be remembered for his courage, his ability to make people laugh and to find humour in most things, his protectiveness towards me and his sister in his concern that we would not be too hurt by his passing and his child like but profound faith in our Lord Jesus Christ. His life has touched many people and we are deeply thankful to God for the gift of his forty two years and the joy that his life gave us. Thanks to our Lord Jesus Christ, we know that it’s not goodbye to Steven, merely farewell and we eagerly look forward to that day when as at St Mary’s, Steve will give us a guided tour of our fathers house in heaven. Stevens’s courage and faith prior to him being taken home to glory has affected so many people at St. Mary’s and at Yeldall manor. About 250 people attended his funeral and a celebration of his life was held at Yeldall manor following the funeral service at St. Mary’s. Although my husband and I mourn the passing of Steven and miss him terribly, we are able to recognise the mourning is for ourselves, it’s for our loss. We rejoice that Steven has gone home to be with our Lord that he will never again experience pain or fear instead, just eternal peace and joy. We are so much looking forward to being reunited with I’m upon which ever comes first, the rapture or our own deaths. I really don’t know how non Christians who lose a child are able to cope without the glorious hope of one day being reunited with their child and we pray that those who read this tribute and are not yet in Christ will make the decision soon to commit their lives to Jesus? The bible tells James 5 v 16. Confess your trespasses to one another, and pray for one another, that you may be healed. The effective, fervent prayer of a righteous man avails much. and I think that God has a special place in His heart for mothers who pray for their children. We don’t know why God didn’t heal Steven of cancer but we do know that Steven has been healed in a better way, a way that is eternal, Permanent. Addiction to alcohol is a real problem and it could be that the Lord took Steven home when He did and snatched him out of Satan’s grasp. We have heard that only a tiny minority of people suffering from alcohol addiction, perhaps the amount is less than three percent; actually remain off alcohol for the rest of their lives. Perhaps Steve would not have been within that three percent and this is why the Lord took him home. The bible tells us that 1 Corinthians 6 v 10. Nor thieves, nor covetous, nor drunkards, nor revilers, nor extortioners will inherit the kingdom of God. Since Steven’s passing, we have remained friends with some of the volunteers who showed such kindness to Steven and also with his best friend Mo who was also at Yeldall at the same time as Steven. 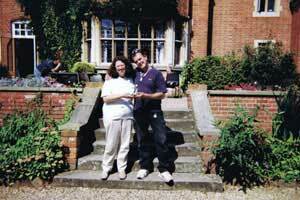 Some months after Steven’s death Mo married a lovely Christian girl Jenny and they are very happy together. Yet another example of the lord’s love and grace towards His people. Three of these friends have told me that before Stevens passing, even though they are committed Christians they were afraid of death but that Stevens witness, his courage and his faith have changed all that and they are no longer afraid of death. About a year after Stevens passing, I told my husband that I had been asking the Lord to confirm to me that Steven was with Him it’s not that I needed proof but at the time I felt that I needed the comfort of this being confirmed. When my husband [whose name is Steve not to be confused with Steven] prayed about this he asked the Lord to confirm to a third person that Steven was with Him, this was to bring glory to the Lord. About a week later I had a phone call from Mo who told me that he had had a dream which was so vivid and he had a conviction to tell me about it immediately. Mo dreamt that he was one of several other residents of Yelldall and they were in a minibus outside Yelldall Manor and that as he looked out of the window of the minibus he saw Steven standing by his car. Mo got out of the minibus and walked over to Steven ready to remonstrate with him about playing practical jokes in pretending to be dead [my Steven was a great practical joker]. When Mo walked up close to him and told Steven that he thought he was dead, Steven who looked well and very fit just smiled and said “I didn’t die, I’m alive”. The scene then changed and both Mo and Steven were looking down at Stevens’s grave and that Steven looked completely unparsed by it. Steven turned to Mo and said “you couldn’t begin to imagine what is happening”. I believe with all my heart that this was an answer to Steve’s prayer for me and that the Lord gave his confirmation to Mo in this dream. I Hope that this tribute to my son and testimony of how the Lord worked in his life will bless all those who read it. This is the passage of scripture that was read at Steven’s bedside shortly before he passed from this life into the eternal presence of our Lord. 1 Corinthians 15. But now Christ is risen from the dead, and has become the firstfruits of those who have fallen asleep. For since by man came death, by man also came the resurrection of the dead. For as in Adam all die, even so in Christ all shall be made alive. But each one in his own order: who are Christ’s at His coming. Then comes the end when He delivers the Kingdom to God the Father, when He puts an end to all rule and all authority and power. For He must reign till He has put all enemies under His feet. The last enemy that will be destroyed is death. For “He has put all things under His feet.” But when He says “all things are under Him”. It is evident that He who put all things under Him is expected. Now when all things are made subject to Him, then the Son Himself will also be subjected to Him who put all things under Him, that God may be all in all. Otherwise, what will they do who are baptised for the dead, if the dead do not rise at all? Why then are they baptised for the dead? And why do we stand in jeopardy every hour? I affirm, by the boasting in you which I have in Christ Jesus our Lord, I die daily. If, in the manner of men, I have fought with beasts at Ephesus, what advantage is it to me? I the dead do not rise, “Let us eat and drink, for tomorrow we die!” Do not be deceived. “Evil company corrupts good habits.” Awake to righteousness, and do not sin; for some do not have the knowledge of God. I speak this to your shame. But someone will say “How are the dead raised up? And with what body do they come?” Foolish one, what you sow is not made alive unless it dies. And what you sow, you do not sow that body that shall be, but mere grain-perhaps wheat or some other grain. But God gives it a body as He pleases, and to each seed its own body. All flesh is not the same flesh, but there is one kind of flesh of men, another flesh of animals, another of fish, and another of birds. There are also celestial bodies and terrestrial bodies but the glory of the celestial is one, and the glory of the terrestrial is another. There is one glory of the sun, and another glory of the moon, and another glory of the stars; for one star differs from another star in glory. So also is the resurrection of the dead. The body is sown in corruption, it is raised in incorruption. It is sown in dishonour, it is raised in glory. It is sown in weakness, it is raised in power. It is sown in a natural body, it is raised a spiritual body. There is a natural body, and there is a spiritual body. And so it is written, “The first man Adam became a living being.” The last Adam became a life-giving spirit. However, the spiritual is not first, but the natural, and afterwards the spiritual. The first man was of the earth, made of dust; the second man is the Lord from Heaven. As was the man of dust, so also are those who are made of dust; and as is the heavenly man, so also are those who are heavenly. And as we have borne the image of the man of dust, we shall also bear the image of the heavenly man.